WEST LAFAYETTE, Ind. — Indiana winemakers will soon learn how their vintages stack up against wines from across the country and around the world. 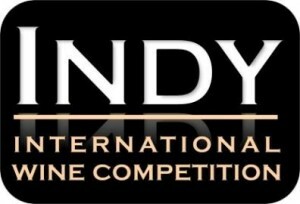 The 20th Indy International Wine Competition is Aug. 3-5 at Purdue University in West Lafayette, Indiana. Organizers expect strong turnout from Hoosier wineries, as well as nearly 3,000 entries from more than 40 states and a dozen countries. The Purdue Wine Grape Team organizes the competition. Last year, 28 Indiana wines took home 227 awards, including White Wine of the Year, which went to French Lick Winery’s 2008 Traminette. Butzke said 60 winemakers, chefs, wine bloggers and others have been tapped to judge this year’s entries. He said a diverse set of palates ensure that entries are judged by people who take different approaches to defining a high-quality wine. This year a few of those judges will test a web application developed by Phillip Rawles, an associate professor of computer information systems and technology, and his students that tabulates scores electronically. Butzke said this trial run could not only streamline the scoring of each wine, but also provide valuable information for winemakers, wine buyers and wine scientists. Butzke said he could envision an application that would allow consumers to walk into a grocery store and be guided by their smart phones to medal-winning wines from the Indy International Wine Competition. Top awards will be given to the Wine of the Year, White Wine of the Year, Red Wine of the Year, Sparkling Wine of the Year, Rosé Wine of the Year, Dessert Wine of the Year, Winery of the Year and Winemaker of the Year. Non-commercial wines will also be judged, with amateur winemakers receiving detailed feedback from judges via traditional paper scoring. The general public is invited to attend judging from 10 a.m. to 3 p.m. Aug. 3 and 4 and the final taste-off from 11 a.m. to noon on Aug. 5. All events take place in the Purdue Memorial Union ballrooms.